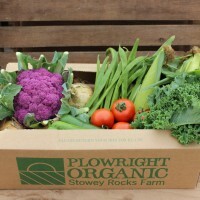 A great variety of seasonal vegetables in larger quantities to feed a hungry family. 10 - 12 items in total. Also ideal for those of you who love to cook with lots of veg and may be having a dinner party on the weekend.